I my mind, it will depend on what happens during the draft. If the Suns pull off a trade or 2 which brings in win now vets, like KAT and Kemba for the picks, a player like George or even LeBron will look at the Suns as a viable option, seeing 2 All-Stars and another in Booker. 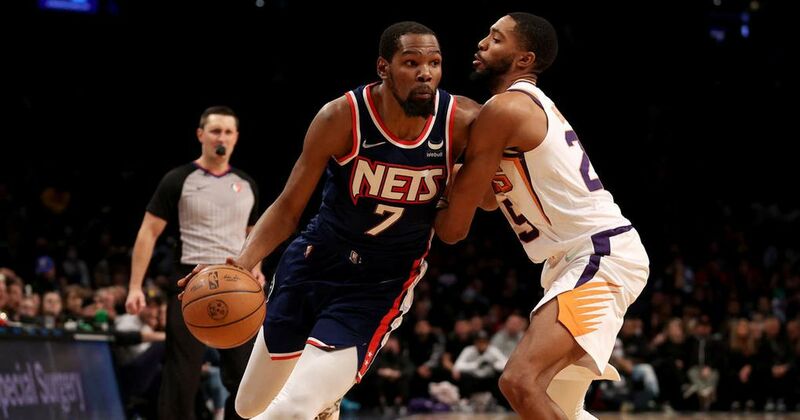 If the Suns come out of the draft with another couple rookies, although very talented, those top free agents may not see the Suns as serious options, even if they are one of the only teams with money to spend. If we acquired Kemba and KAT we’d have no money for anyone else. KAT would be a wash with the #1 pick. If you could trade for Kemba in a salary matching type trade it becomes a wash again. What? No dude. KAT would not be a wash with the number one pick. We’d sign him to a max extension. We’d then have Booker, KAT and Kemba all at max or near max deals. They'd combine for under 25 million this year. Free agents mostly just go to teams that will pay them lots of money. I don't think the Suns are unattractive as a destination. We have Booker, who's become widely respected around the league as a young rising star, and we have other nice young pieces and picks. We're a bad team, but plenty of FAs have come to bad teams that seem like they're on the rise, as we are. Yeah, maybe some FAs who want to win a title this moment, like Lebron, wouldn't give us any consideration. But outside of that plenty of guys would be happy to come here. Well, if you put it that way... I’m not a big fan of the current crop of FAs. I’m also not convinced it’s a good idea to pursue Kemba. That's my point. What FA that's just chasing money is going to change our fortunes that we'd sign them to long term contracts? I'm not being sarcastic. I'd like to hear some names. I saw this on the realgm suns forum. Warren, Chriss, Chandler, Dudley, #16 for Kemba and Howard. If the Suns take Ayton, they can play him alongside Howard or the 3 time DPOY could teach him a thing or two about protecting the paint. Of course, Kemba provides some very nice outside shooting alongside Booker. Don't want Howard, and adding both #16 and Warren feels like too much since Kemba is expiring. If I am dealing with CHA, I want Marvin instead of Howard and I am interested in taking Batum if they swallow Knight. Ick. I'd rather keep Knight than acquire Batum. 14m per for what 2 years is hardly an albatross at this point. Our PG situation is terrible, even if they acquired Kemba, he still needs a good backup, and as much as I wanna root for Ulis, the dude is a turnstile on the defensive side, and a streaky shooter at best offensively. Plus, I still want to see what Knight looks like in Kokoskov's system. I'm willing to give him a chance to see what he's got. O_Gardino: "Ntilikina is going to lead the NBA in assists once he gets going..."
Batum is a lot more useful than Knight. Adding Kemba is probably going to cap us out anyways, Batum gives us a versatile wing offensively and defensively, albeit at a slight overpay. For what his contract is, he is in no way more useful than Knight. He is the epitome of an albatross deal. That makes one of us! Knight’s instincts and reaction time are so poor that I doubt he can run any system that requires quick reads and reacts from the PG. You pretty much have to dumb the system down for him. I would love to see a redemption arc for Knight. But realistically it isn't going to happen. I wish him the best but think the probability is almost zero that he'll ever matter again in the NBA. His contract is screwing us in the FA market this summer and next. You don’t think that matters? Batum is overpaid, yes, but it seems you don't remember how absolutely terrible Knight was for us. Over his 107 games as a Sun at almost 29mpg, Knight barely cracked 40%FG, gave us less than 4apg and turned the ball two times, at 25% usage and dreadful advanced stats. And that doesn't even begin to describe the awful impact he had on everything. Watching him was a masochist experience. I simply don't want to see Knight play for the Suns again. No redemption sh¡t. His MIL play was a flash in the pan and wasn't even that good. If we are serious about winning next season we need to explore trading him for a bigger contract on a more useful player, or just stretch him. I admit that I'm an optimist. Very good chance you guys are right and he's a total bust.